A Black-headed Gull has been hanging out in Umatilla, OR for the past week or so, and after some internal debate I gave chase. The drive to Umatilla is about twice the distance of my normal “chase radius.” I am not one who tends to drive great distances for an individual bird. But this bird is special enough to warrant an exception to the rule. 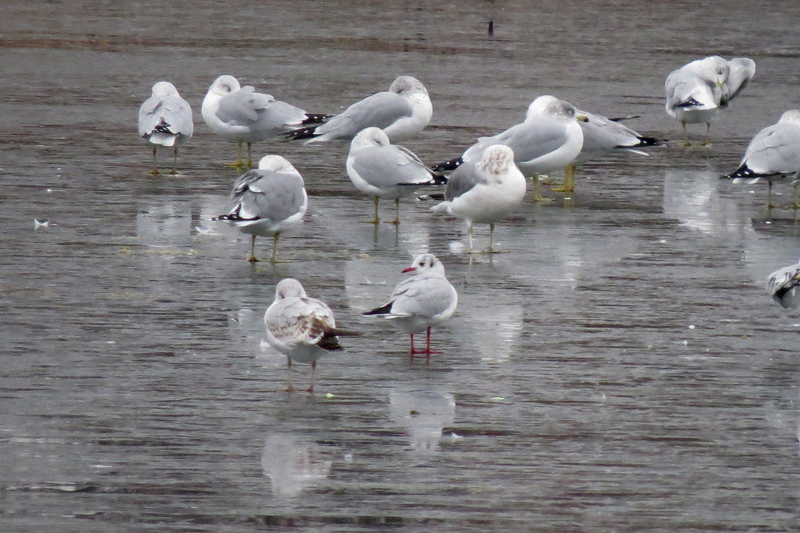 First of all, this is a gull I hadn’t seen before, one I have been hoping for for many years. Black-headed Gull is a Eurasian species, with a small population in northeastern Canada and in Greenland. So finding one anywhere in North America away from the northeast coast is extremely rare. Secondly, this particular bird seems to have established himself in a park in Umatilla and in the adjacent golf course, so my chances of seeing the bird after such a long drive were relatively good. I would not drive so far to look for a warbler or other small songbird, as these tend to move on much more quickly. After the drive, finding the bird took about five minutes; step out of the car, walk to the edge of the pond, and there he was. ID is pretty easy for this species. They are similar to Bonaparte’s Gull, but with a red bill and a dark underwing pattern, visible in flight. 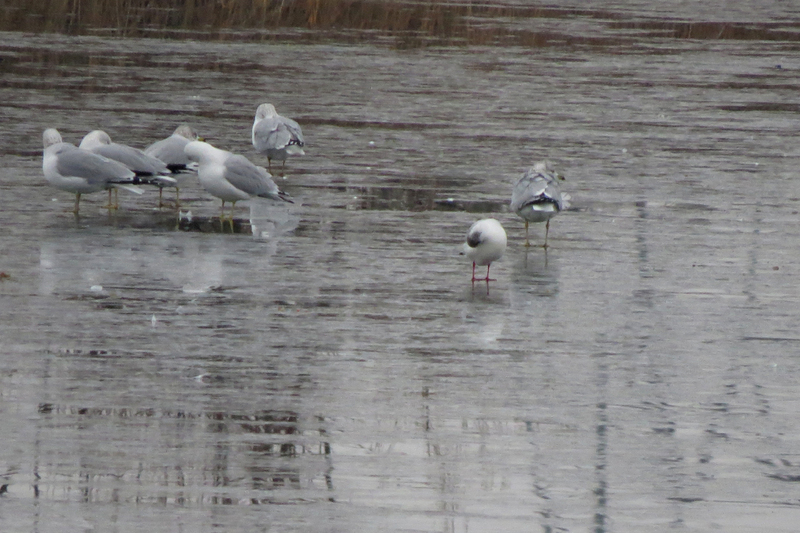 When the gull preens, you can see evidence of the dark hood that will become obvious in the breeding season. The Black-headed Gull is being seen at the McNary Wildlife Nature Area, just downstream from McNary Dam on the Columbia River. I will write more about this area next time. This entry was posted in rarities and tagged Black-headed Gull. Bookmark the permalink.